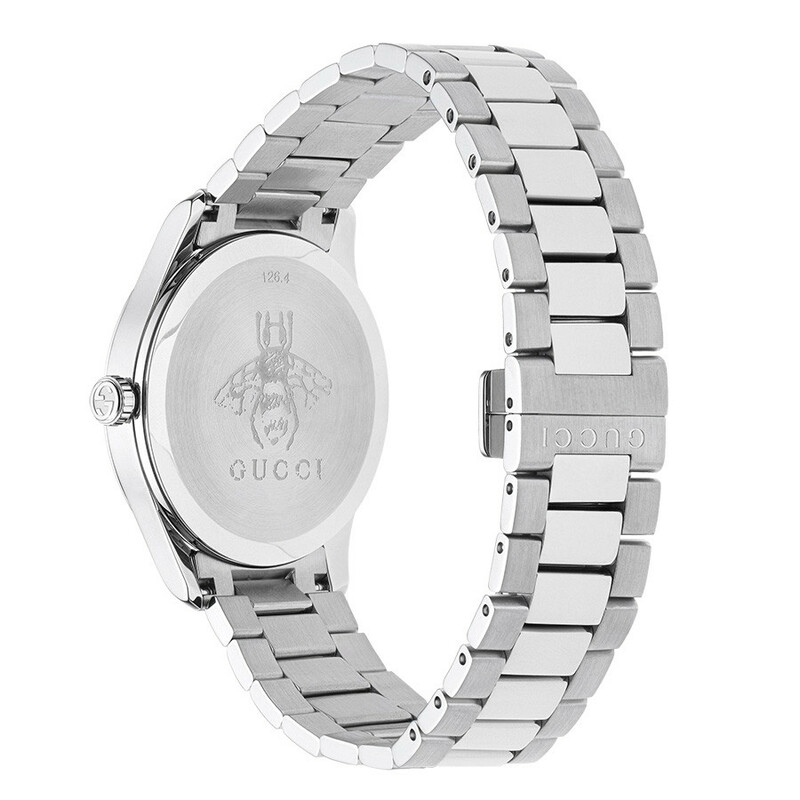 This classic Gucci watch features the the iconic Gucci Kingsnake on the center dial, one of the most recognizable motifs of the House of Gucci. 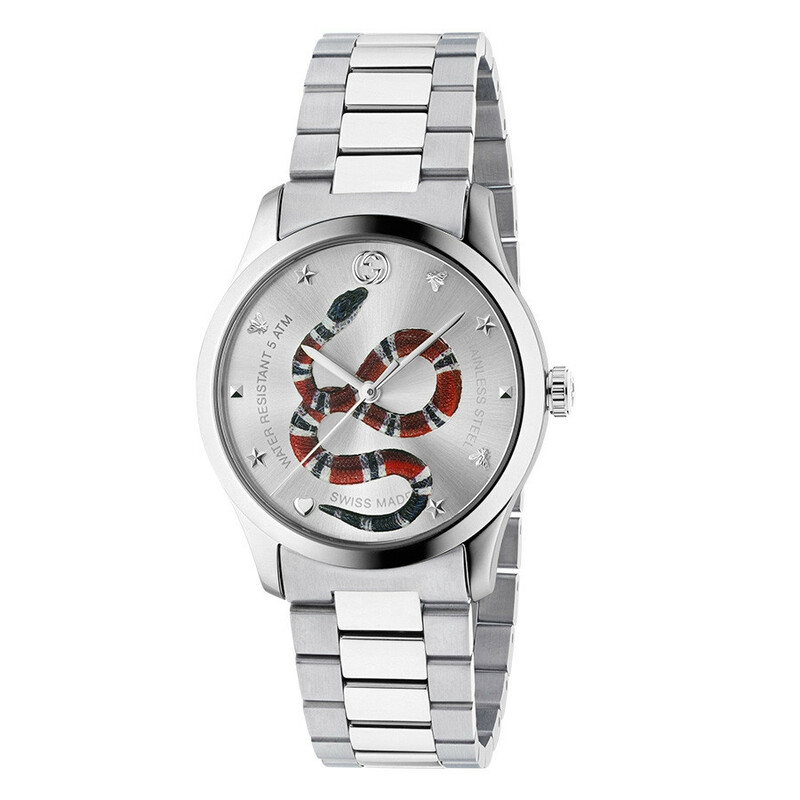 This stainless steel watch gives it a timeless look, the perfect contrast to the more edgy snake. 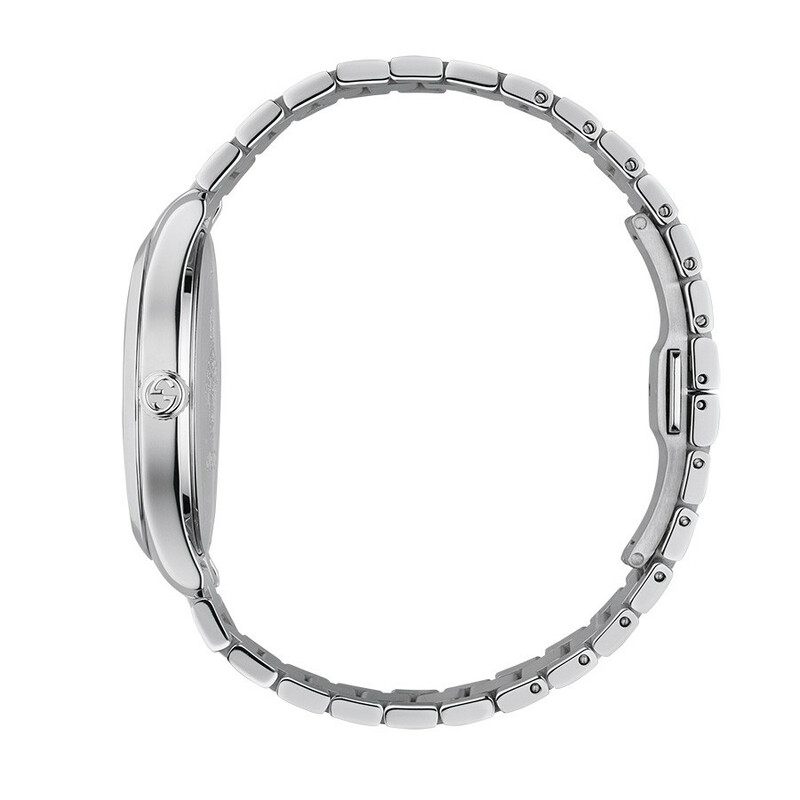 This watch is the perfect accessory to wear with a more dressy look like a suit, or dress it down with jeans.